Cass Sunstein thinks there’s bias in the Trump EPA in the way the agency handles CO2. He’s right, but not in the way he thinks. The only way to solve the climate-change problem, and to prevent massive harm in the US, is for all the world’s big emitters [of CO2] to agree to take account of the global damage. There’s the heart of the political concern and a demonstration of Sunstein’s bias. Carbon’s role in the environment is its contribution to acid rain through its role as a constituent of CO2. That problem has been solved, years ago. …and there’s collusion. Not only did Vladimir Putin share a bed with Donald Trump as they worked together to get Trump elected, but Putin was busy in the climate bed, too. 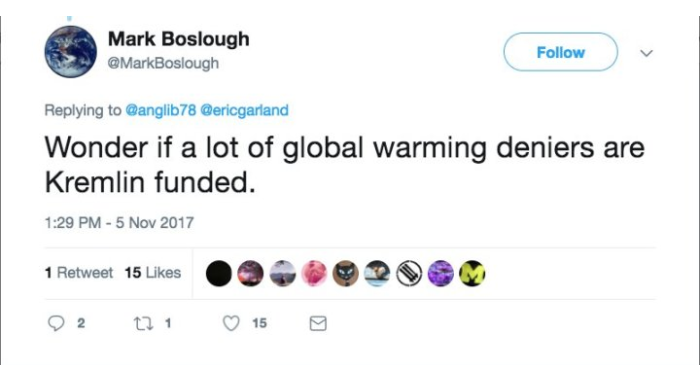 Boslough’s logic builds, as folks point out his initial foolishness. That Putin, he is vigorous. Yet again. This one is from Watts Up With That. A bloke bought a sheep property of half a million acres in western Queensland for $2.0 million. Instead of running sheep on it, he now gets $350,000 per annum under the federal government’s Direct Action scheme for not using the grass on his property. The idea being that the grass locks up carbon and reduces Australia’s carbon emissions. A neighbouring property gets $600,000 per annum. The Environmental Protection Agency has sent out more than 1,000 buy-out notices to its employees…. The positions are being eliminated, and the incumbents aren’t being offered positions elsewhere on the government’s teat payroll. The horror. The union-demanded, if not God-given, sinecures are not sinecures, after all. American Federation of Government Employees Local 704 President Michael Mikulka is quite vocal with his dismay. …is in the offing. The piece by John O’Sullivan in Principia Scientific International is a bit optimistic, but the outcome is legitimately expected under Canadian law. 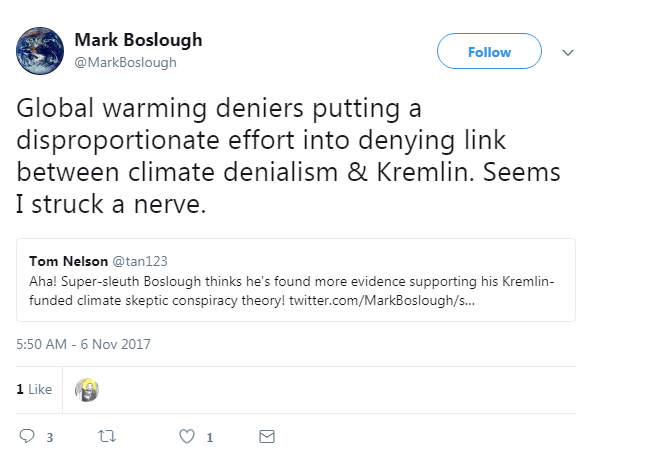 The offing-ed outcome concerns Penn State pseudo-scientist Michael Mann and his slander lawsuit against Canadian climatologist Dr Tim Ball in a British Columbia court. It turns out that there are two legal factors of interest here. One is that Canadian courts always grant adjournments before a trial in their belief that an out of court settlement is preferable, and Mann had moved for such an adjournment of the lawsuit’s trial that was scheduled to months ago on 20 Feb. Ball agreed (of course), but he was able to get conditions imposed on that adjournment, one of which was that Mann would produce the data underlying his suit in court by 20 Feb.